Please fill this form so that we confirm your booking and also send you more details about your tour interests. Heritage Lodge is situated on a 7-acre wooded island that is one of 29 islands in Lake Bunyonyi, one of the deepest lakes in the world. The Lodge features 10 self-contained tents and 1 family cottage that provide comfort amidst the serenity and scenic beauty of the Lake. It is the ideal stop-over for avid bird-watchers and people en-route or from Bwindi Impenetrable National Park for Gorilla Trekking. The perfect adventure of your life awaits you today. Heritage Lodge is located on Habuharo Island - Lake Bunyonyi, one of the deepest lakes in the World and renown for its diverse bird life and beautiful landscapes. The lodge is a heaven for tourists and holiday makers seeking a peaceful break. Comfortable accommodation, good food and above all friendly service that we offer. Only The Best Destinations For Photographers. Let us take you on a journey with these amazing stories. 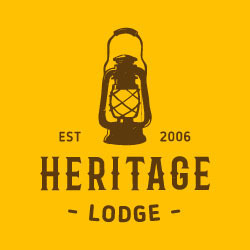 © 2019 Heritage Lodge. All rights reserved.